27-07-2018 MIET got all UP Second Position in Kalam Entrepreneurship League organized by Dr. APJ Abdul Kalam technical University, Lucknow MIET got all UP Second Position among AKTU colleges for its performance in NPTEL by NpteL Ministry of HRD. 01-03-2018 5 teams of MIET and 3 Teams of MIT got selected for second round of Smart India Hackathon 2018. Now they will compete at different nodal center for 36 hours at a stretch to implement their Ideas. 24-02-2017 Ayesha Sharma (MBA 2016-18) & Ujjwal Sharma (CH 2013-17) Winners MMA Debate Competition, third time in a row. 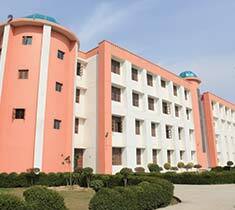 It has been officially ranked as the 4th best engineering institute by Dr. APJ AKTU,Lucknow. MIET has received UPTU Excellence Award for commitment to quality and result outcomes. 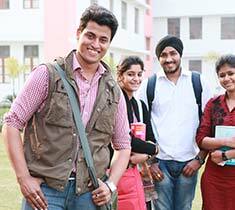 MIET students have bagged 12 gold medals, 6 silver medals and 170 merit positions in the university standings. IBM’s first Big Data and Business Analytic Lab in North India is running live here in MIET. Proud recipient of “Membership of Star Performance Circle” award given by APJAKTU for academic excellence. 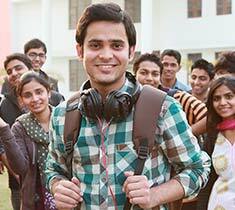 Times of India has nationally ranked MIET as the 28th amongst private institutes. 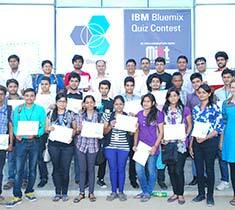 IBM has enlisted MIET amongst the Top 50 institutes of India. MIET is proud to be declared as “Wipro Earthian College”, sharing the glory with institutes like IISc. Bangalore, IIM Indore and XLRI Jamshedpur. 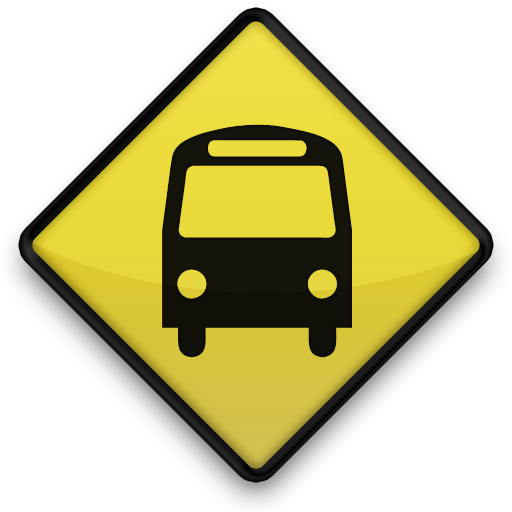 Amongst India’s leading technical institutes by Dataquest (2015). Ranked 12th amongst private engineering institutes in the North Zone by The Week (2015). Pedagogy here at MIET is defined by sheer professionalism and hard earned experience. 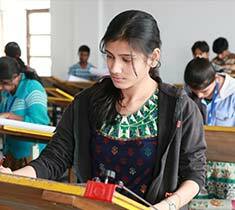 MIET is under the aegis of people from IIT’s, IIM’s and highly reputed US universities. Accredited for placement by top notch companies like- TCS, Wipro, US Technologies, Anglo Eastern, TATA Chemicals, Abott Healthcare etc. Prateeksha Kaul (BT 4th Year)) won 1st Prize in "Voice for BT" contest for North zone at JUIT, Solan in collaboration with Novozymes, Bangalore (2015). Shubham Gupta (MCA 2nd Year) won the title of “IT Genius of India” in IT Olympiad 2016 held at Pune. 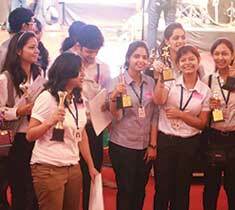 MIET Girls’ team secured the 1st position all over India and the 2nd position amongst all teams in the IBM TGMC 2013. Sunny Bansal (IT 4th Year) secured the 4th position in Confluence-2015 which was the Annual Management Symposium of IIM, Ahmedabad. Team Optimistic Racers led by Priyank Maheshwari( ME-3rd year) stood amongst the top 8 teams in the nationally acclaimed Nirman Go Kart Championship – 2016. MIET always strives to be among the institute contributing in quality research. MIET has received sixteen AICTE and TIFAC Funded Projects since 2008 of amount Rs. 11657500/ (One Crore sixteen Lac Fifty Seven Thousand Five Hundred Only). Promotion of research excellence is evident in the achievement that a new fungus was discovered by our Prof. A. Subrahmanyam and was named mucor-imietiana after our campus name. MIET has partnered with Rowan University, New Jersey, USA (a premier PUBLIC University in USA) for undertaking joint teaching programs, faculty and student exchange programs. This shall give MIETians a unique opportunity to learn from global leaders in Education and also to get a perspective of how Engineering is studied in USA. Another important aspect of the partnership is that MIETians shall be given preference in Post-Graduate admissions at Rowan University, thus giving them an exceptional opportunity to carry on their Engineering education. 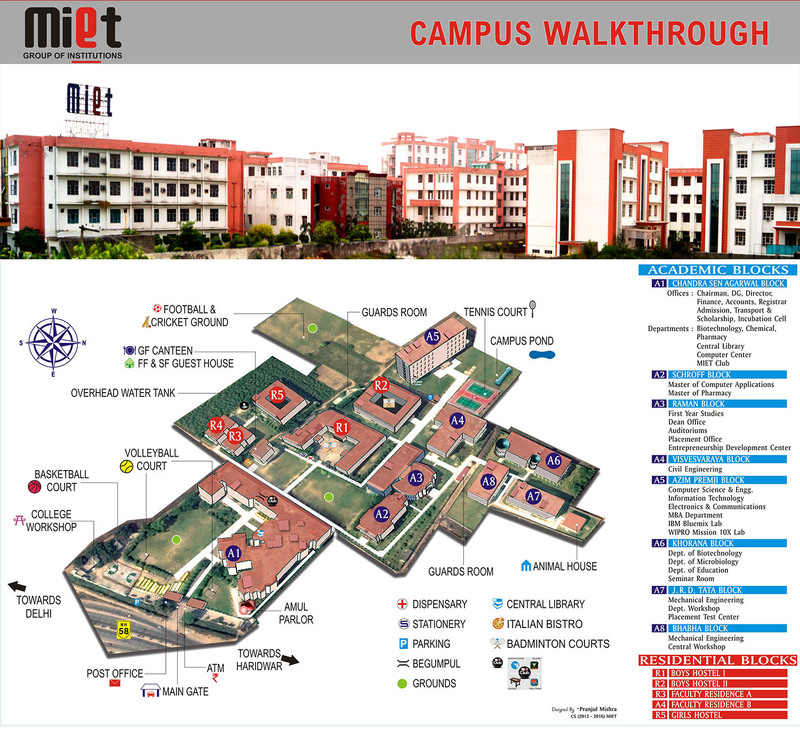 MIET is the Mission10X Technology Learning Center of Wipro Technologies, among 25 selected centers across India. These centers are empowering faculty in different area of Computer Science, Electronics & Communication and Electrical and Electronics. This is to work on common platform to bridge the gap between institute approach and industry practices. In an IBM Certification Test for 279 participants (Faculty & Students) for DB2 Tool; Total 275 got certification in first attempt (Faculty 56, Students 219). TGMC acclaimed for student projects in their final round. TGMC appreciated the student for the performance. Google Summer Program: Through Prestigious contest, Mr. Naman CS IV th sem got selected in Google Summer Program organized by Google and won the cash prise of Rs. 2 Lack. His Achievement was published in news paper Dainik Jagran dated 22/05/2012. Naman will find out the bottle bugs in google gaming engine crystal space. Amit Nigam of the batch 2009 has entered into the lit-world. His book titled Pilgrims-An Anthology (Publisher: Leadstart Publishing Pvt. Ltd.)has been published and is available on all leading online stores. Aakash Tiwari (ME 2013 batch) won many accolade for his solo singing performances under the band “Nirvaan- the musical silence”. His band has given performances throughout UP, Delhi/NCR and Uttarakhand (IMT, Ghaziabad, M C SaxenaGroup of Institutions, COE Roorkee etc). Ankur Chakravorty (CS-III Yr) has obtained “Sangeet Visharad” from “Bhatkhande Sangeet Vidyapith, Lucknow”. He mesmerizes one and all with his near perfection skills on Violin. He has also recorded a song for ‘Aaj Tak’ as a tribute to Anna Hazare. He can be reached at http://www.reverbnation.com/#!/ankurchakravorty. Prakhar Garg (CS- 2008 Batch), a vocalist and guitarist, has already made a niche for himself in his company –TCS for his music abilities. He is slowly and steadily becoming a name to reckon in Mumbai with the launch of one of his recording. He sings and performs under his band Mojo. His Jugalbandi with Ritesh Vishwambhari (ME- 2008 Batch), Sangeet Virashad in Tabla, still resonate in MIET. He can be reached at http://www.reverbnation.com/mojobombay. MIETian Anchal Bhatla was selected to meet Nobel Laureates in Germany by Department of Science & Technology, Govt. of India. Amit Nigam won 1st prize of Rs. 10,000 in National Scientific writing championship on “Mission Green Earth” – 2009 organized by National Academy of Sciences India (NASI), Allahabad. Abhishek Sharma won 2nd prize in National Scientific writing championship on “Mission Green Earth” – 2010 organized by National Academy of Sciences India (NASI), Allahabad. 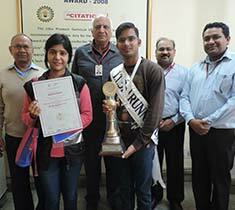 Alark Sharma & Amit Tomer (CSE) won first Prize for best paper Award in National level student symposium. Shubham Dang (EI) won second prize of Rs. 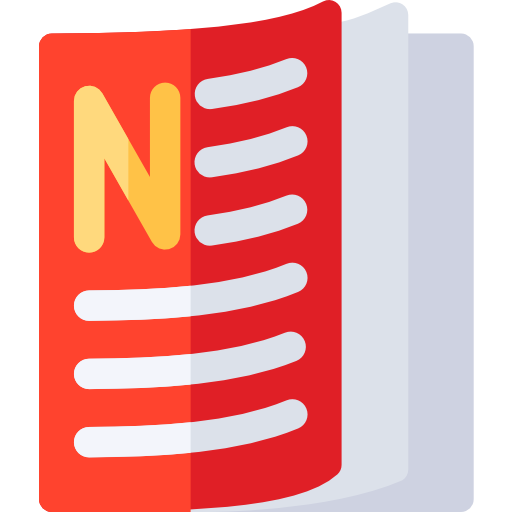 20,000/- in National level Paper Presentation competition held at IIT-Roorkee. Akash Singhal (CS) won first prize of Rs. 10,000/- in National level Debate Competition held at IPM-Meerut. Shubam Dang (EI) and Lehar Singhal (ME) once again won first prize in national level MMA debate competition. MIET won this coveted prize for the seventh time in a row.